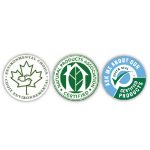 We currently use green clean programs, strategies and products including green clean chemicals and certified recycled paper products and trash can liners. These are available to all of our customers. Employees are trained on green clean procedures and chemicals. We are always researching and open to new green procedures and products. Best Janitorial Services, Inc. practices low waste control and have devoted ourselves to 80% green in a company wide effort. We are enthusiastic about becoming certified in the near future. We are a very conscientious professional company following laws and guidelines when disposing hazardous waste and chemicals.